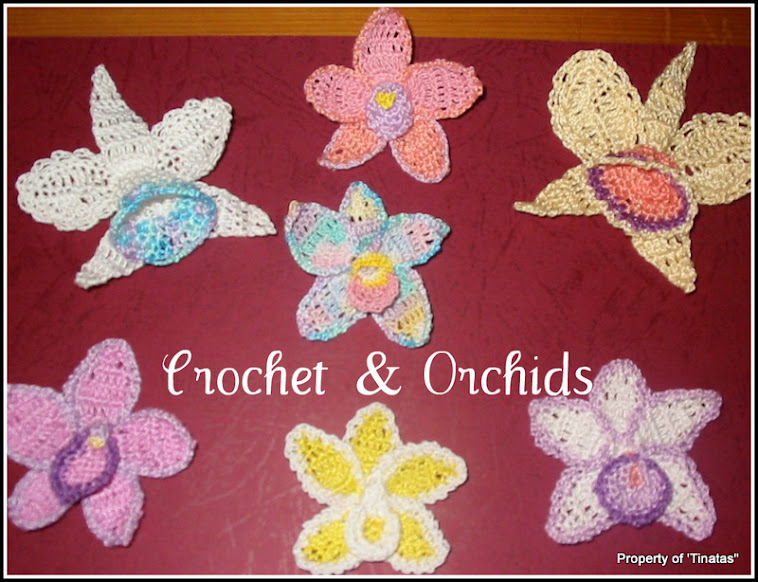 Crochet and Orchids: My lovely flowers! Oh these are lovely, so pretty with the colouring of pink and lemon(yellow) and those gorgeous lemon green leaves. What name do these beauties go under??? This is named Sleeping Dragon 'Carolyn', i love the pastel shades of this one. These are so gorgeous. My camera will love these ! Thanks Pat.. did you find the pics of the white soap sack and washer?? I think you are a very talented lady. 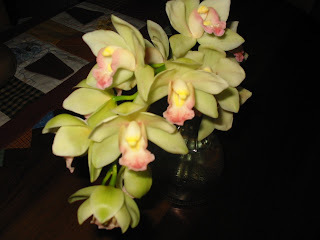 thank you Pat, i owe it all to my teacher.. Lol...:)) No, not finished quite yet.. a few more to go..